Jean E. Eglinton grew up in Connecticut. College included a year studying at the University of Montpelier, France. In 1981 she graduated from Antioch College in Yellow Springs, Ohio with a BA in Art. In 2010 – after devoting the interim years to her family – she was ordained at Hebrew Union College in Cincinnati. After ordination she continued at the college for a year as Coordinator of Outreach Education and Interim Director of the Skirball Museum at the HUCinci campus. While studying at HUC-JIR, Student Rabbi Eglinton served congregations in Paducah, Kentucky; Louisville, Kentucky; and Newark, Ohio; as well as spending a summer as Student Chaplain at Cedar Village in Mason, Ohio. The student rabbi years also included a year living in Jerusalem, a week in Belarus conducting Passover Seders, and a week in Germany learning about contemporary Jews there. For her rabbinic thesis/capstone project she studied the morning creation prayer Yotzer Or, “The One Who Forms Light.” The resulting Torah Ark, which she designed and painted to express some of the many layers of history and theology contained in the prayer, continues to be a focal point of learning about prayer for people of all ages and faith backgrounds. It is soon to be housed at B’nai Sholom. 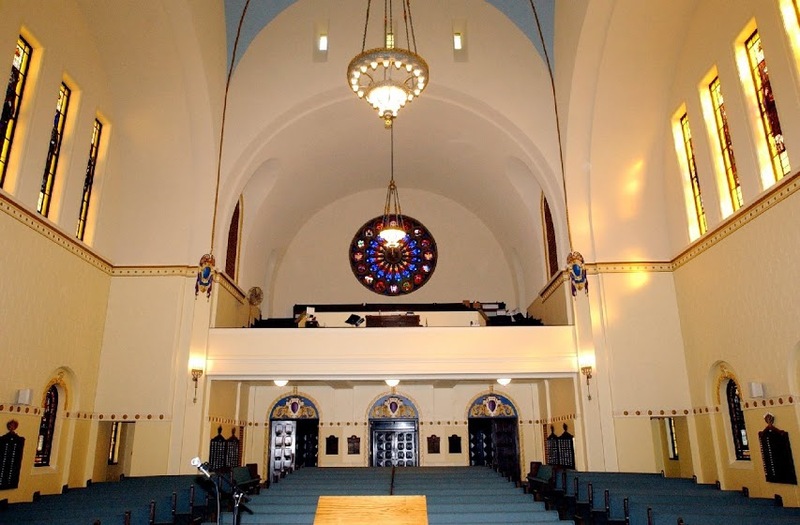 Rabbi Eglinton is a member of the Central Conference of American Rabbis and the Hebrew Union College Alumni Association. She became a member of the National Association of Temple Educators (NATE) after receiving a Master’s Degree in Education Administration from Xavier University in 2010. She is also an alumna of the American Jewish World Service Student Rabbinic Delegation to Muchucuxcah, Mexico in 2008. Dr. David E. Wucher is a native of Bridgeport, Connecticut. He graduated from Brandeis University in 1966 and was ordained in 1972 at Hebrew Union College in Cincinnati. He also received a Ph.D. in Modern Jewish History, from H.U.C., in 1985. After serving as Rabbi of B'nai Sholom Congregation for nearly 23 years, he retired June 30, 2011 and is now Rabbi Emeritus.